This elevator is attributed to the Tillotson Construction Company, but evidence points elsewhere. 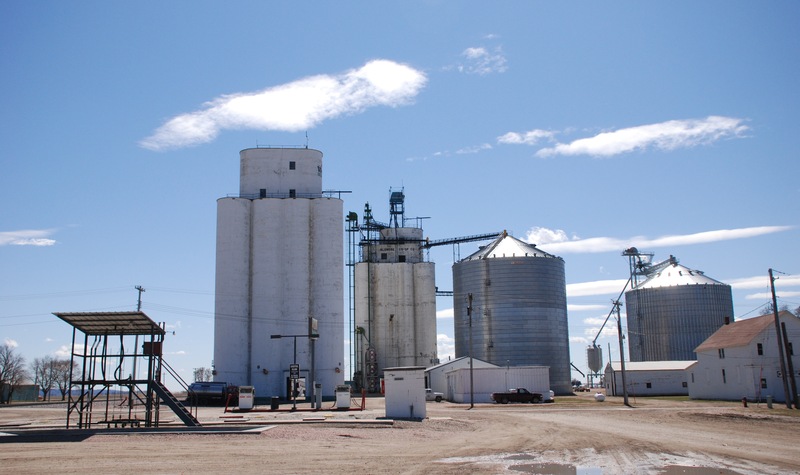 In an earlier post, we showed that the elevator built by the Tillostson Construction Company in the northwest Iowa town of Blencoe had a structural failure prior to completion. A photo provided by Tim Tillotson showed that the concrete slumped over the driveway after the slip-form pour had progressed considerably past the point of failure. Construction would have halted there. The question of how the elevator was completed was never answered. In the company records we have, the specifications log ended by 1956, while the company continued to build elevators beyond that date. So later records are lost to us. Tim Tillotson estimated that this mishap occurred in about 1955. I discovered, on review, that Blencoe was not in the specifications at all. Why? 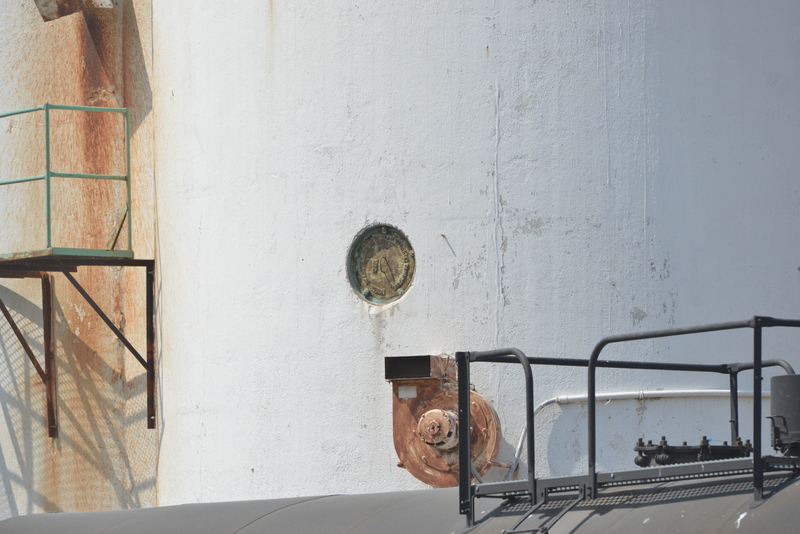 A photo of the manhole cover on the rail side of the elevator could provide the answer. It is not typical for Tillotson elevators to have exterior manhole covers on elevators of this type, so the existence of these was a little surprising. More shocking was the identity of the company that placed them. 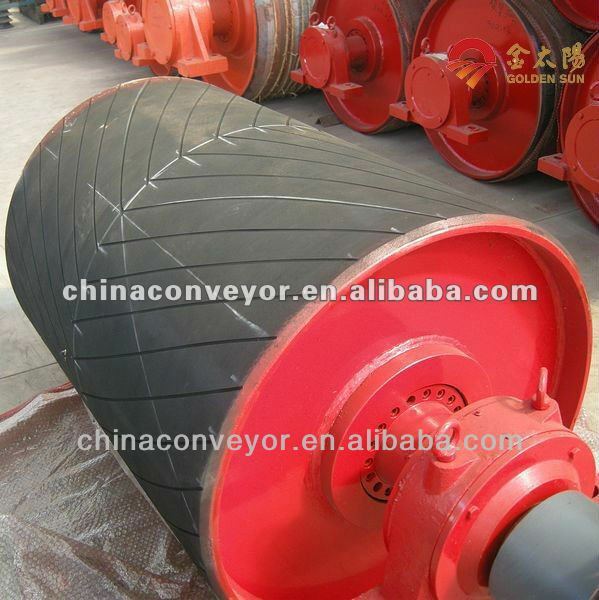 “Grain Storage Const. Co, 1959, Council Bluffs, Iowa” is embossed on the manhole cover. 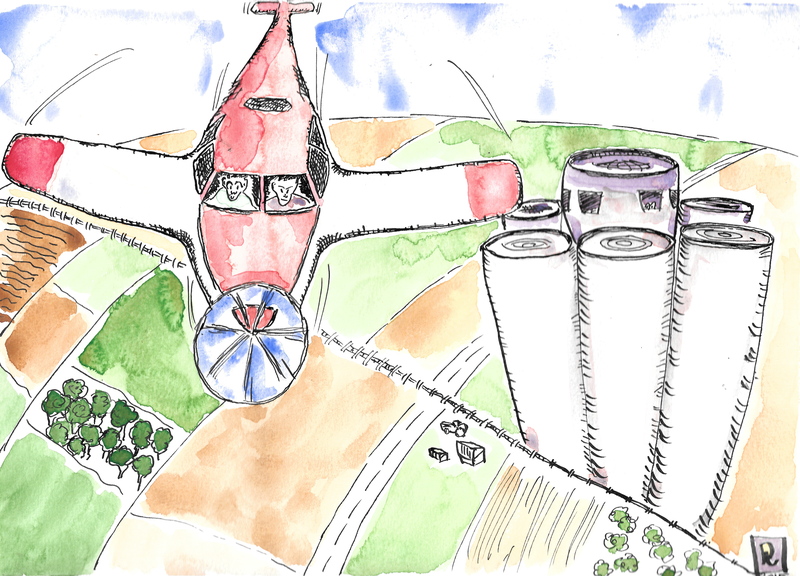 The Grain Storage Construction Company of Council Bluffs, Iowa, is not familiar to us. It may be the company called in to repair the damage when the failure occurred. We don’t know if Tillotson Construction was fired on the spot. But it is also possible that Tillotson was given a second chance–the design of the elevator clearly follows the trademark Tillotson design, whether copied by some one or built by the original contractor. 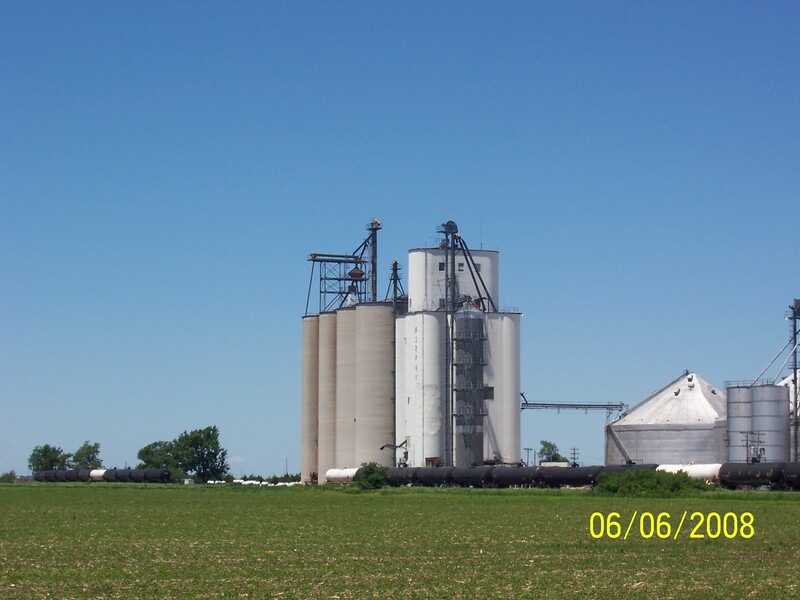 I wonder if the original repair destroyed the structural integrity of the elevator, and Grain Storage Construction was brought in to replace two of the bins. We know it was a later job because of the 1959 date on the manhole covers. Unfortunately, I made my visit on a Saturday, and the co-op was closed, so there was no one there to ask. It is a beautiful, functional elevator today. It stands beside the older Mayer-Osborn elevator, which is also clearly in use sixty years after it was built. Both elevators had problems during construction, but the capacity was urgently needed, so both projects were finished. 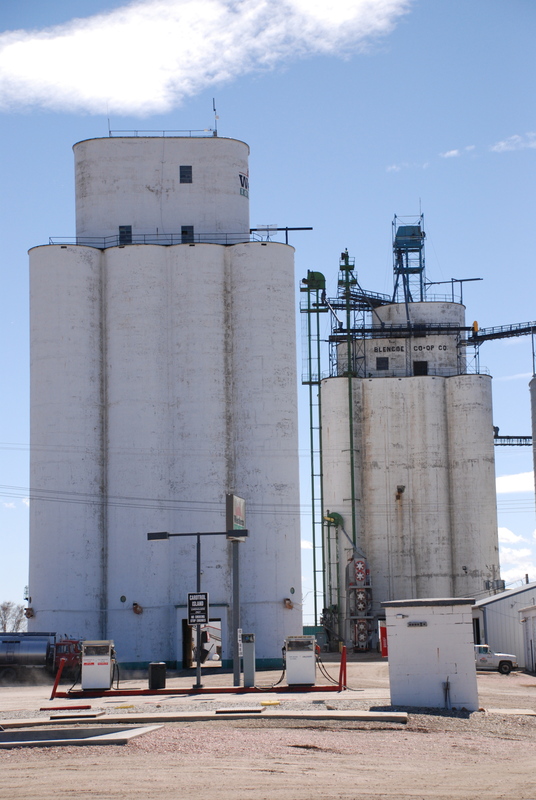 How the Tillotson elevator ultimately became a Grain Construction Company branded elevator is a mystery we will try to solve in a future post. 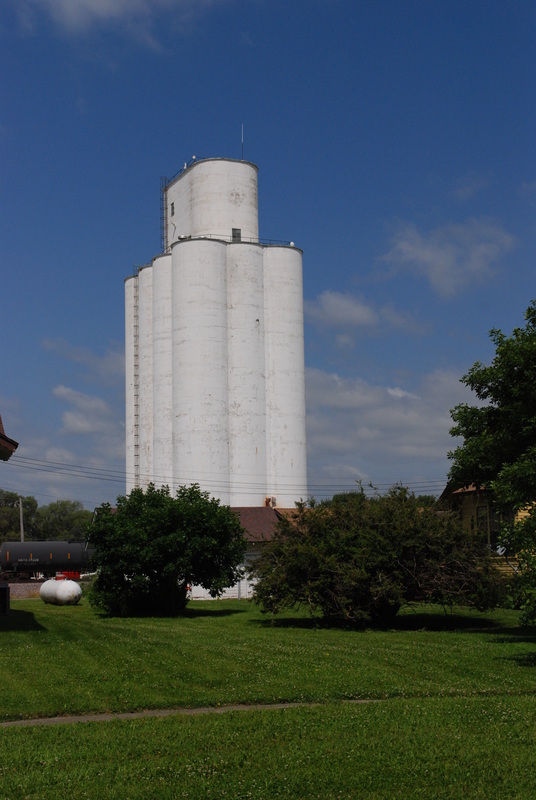 The Aurora Cooperative’s Murphy elevator and annex. Jim Russell died in a fall during the elevator’s construction. Photo by Kurt Glinn. My uncle, Tim Tillotson, recalls some details of the death of a son of Bill Russell, a superintendent for Tillotson Construction Company. 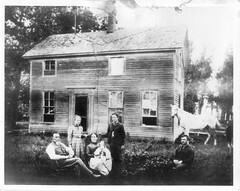 Russell was the father of eight sons in all. The accident occurred in the 1950s. Although he can’t remember which job [it was the Aurora Cooperative’s Murphy location in central Nebraska] or when it happened, Uncle Tim, who was not present at the time, recalls from on-the-scene reports that two of Russell’s sons were running the night crew. The two were working with a storey pole, a measuring device of ancient origin. In this case, the storey pole was a metal tape, and it was used to verify the height of vertical sections. One son was on top, fifty-five feet up, feeding the tape down to the other on the ground. A fall to the ground ensued. Uncle Tim suggests the likelihood of a brain hemorrhage as well. 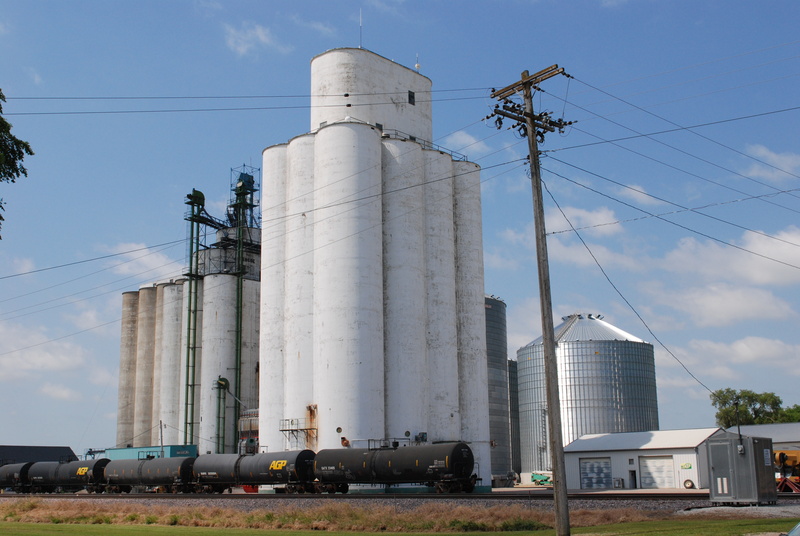 In the summer of 1954, Mayer-Osborn Construction built an elevator with a stepped headhouse in the northwestern Iowa town of Blencoe. 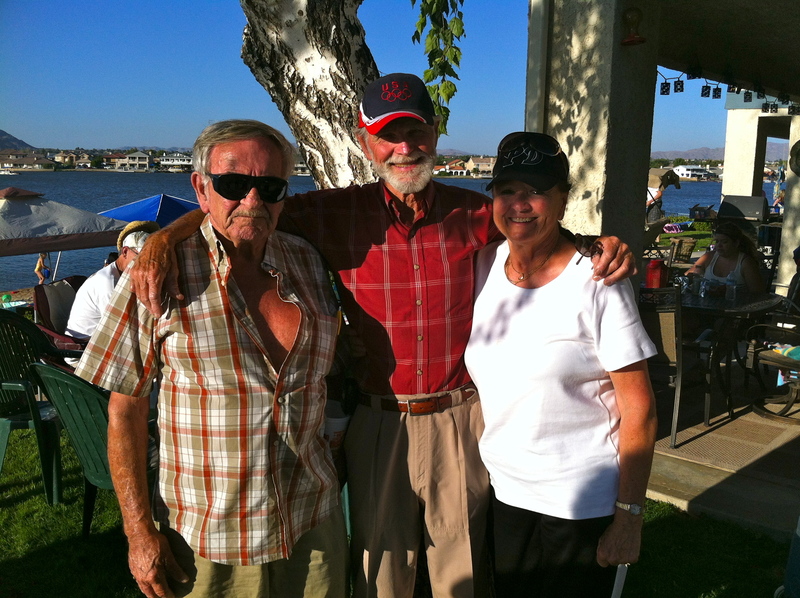 As my dad, Jerry Osborn, explained, after the crew poured the first ten feet of concrete in the slip-form process, the concrete sides below the forms showed signs of crumbling. An investigation revealed that the concrete mixture had not been set correctly. It took as many hours to remove the concrete and start over as it did to pour it. Dad worked on the project and saw the fallout first hand. 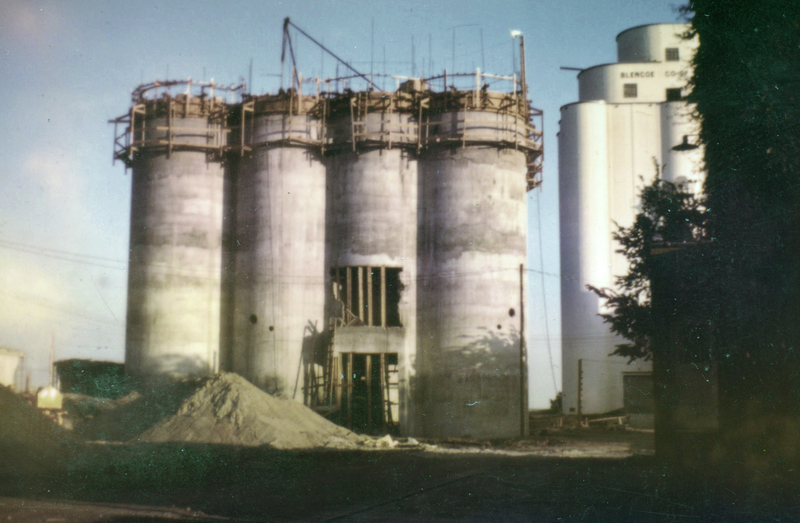 Builders were required to do a destructive test on the concrete mix at various stages of curing, to ensure the proper strength for each part of the elevator structure. Engineers tested various mix ratios to decide upon the best one. Naturally, this process was used at Blencoe, but when the mix was finally set and the pour began, it was done incorrectly. I can imagine the blue language wafting from the site as the concrete was taken down. Someone on the site had his ears pinned back pretty fiercely. 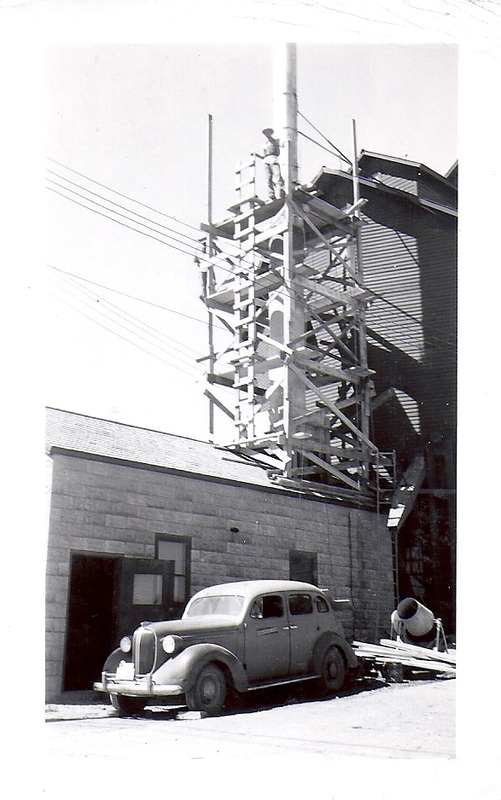 But the construction continued, and a handsome elevator still stands there today, nearly 60 years later. Not until this year, when Tim Tillotson located the Tillotson company records and photographs, did we discover that Tillotson Construction of Omaha faced a similar problem as they built their elevator nearby about a year later. This time, the error was not caught as early, and the consequences became immediately apparent. Tim Tillotson said he thought the blowout happened in about 1955. Whether Tillotson Construction did the repairs and completed the project, or whether another contractor was brought in, is not known to me, but I hope to revisit the site later this year and learn more. The image below is a rare one. 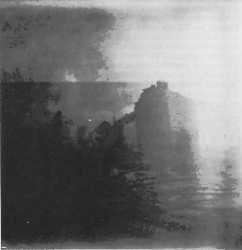 It is amazing that photographic evidence survived, serving as a cautionary note, lest any builder were to become overconfident. This company photo shows the blowout. On the right the completed Mayer-Osborn elevator may be seen. Errors were a constant threat in this business. In the best cases, they manifested themselves in embarrassing delays, in the worst, they incurred expensive lawsuits or physical harm. Tillotson Construction and Mayer-Osborn both recovered from their respective forays into bad concrete and lived to build again, leaving handsome and serviceable elevators at Blencoe and elsewhere. The lessons they learned were priceless.